Ptge. Pere Rodriguez, 20, 08028 Barcelona, Spanien. Hotel l´Alguer is a friendly hotel in Barcelona. 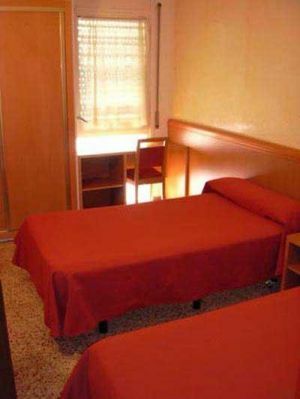 L´Alguer Hotel is located in the university area from Barcelona, and very close to the famous Diagonal Street. Its 33 rooms are carefully decorated and completely equipped with air conditioning, heating, television, satellite dish, telephone etc. All its facilities are conceived and ideal in order to offer the maximum comfort and contentment for its guests. L´Alguer Hotel is a quiet establishment ideal to have a break and visit the touristic wonders of Barcelona. in der Nähe der Universität, in der Nähe der U-Bahn / Strassenbahn.